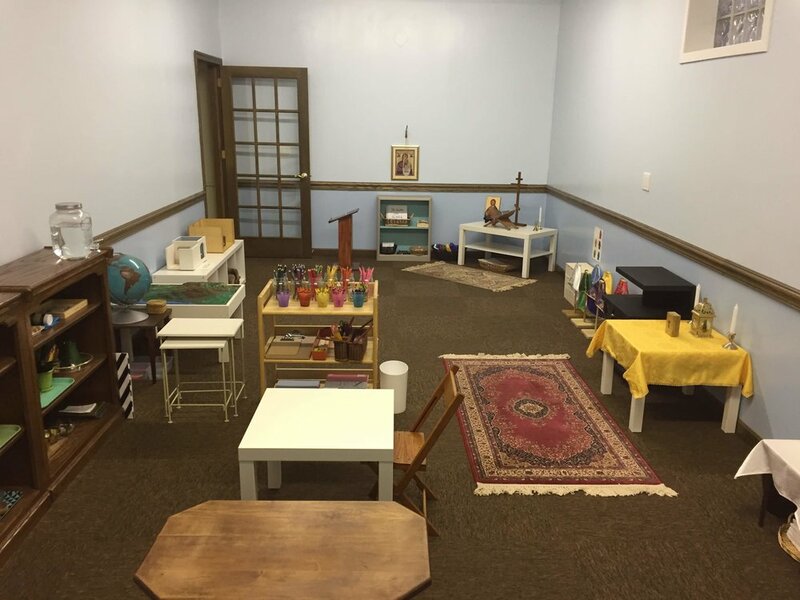 The Catechesis of the Good Shepherd is a Montessori-based religious education program. Our children learn about Christ in a liturgical environment called an atrium. Please see the pictures below to get a sense of how this curriculum "connects the mystery of the Child to the mystery of God." Our parish spent 6 months preparing for our atrium. We combined two rooms, refinished the walls, ceiling, floors, and prepared all of the items for the stations in the atrium. When reviewing the pictures, pay special attention to how each object is hand-crafted. This detail alone indicates what a special place the atrium is. We are thankful to be able to offer this curriculum to our children. Our parish hosts training sessions for clergy and laity wishing to become "catechists." The trainer is Shelley Finkler, a renowned catechist based in Anchorage, Alaska. If you would like to register for a CGS training session, or enroll your child in our program, please include that information below.